At Knut Whitebear’s lodge, Braham did not receive the welcome he had anticipated. His promise to rebuild Cragstead along with the refugees and freed captives, still seemed like a bad idea to Knut (who suggested they come to Hoelbrak). It was really strange watching their conversation, especially with Eir standing in the background and not embracing her son. I don’t know if this is how the norn parent normally, but it’s awkward to see Eir treat her son almost like a stranger. Again, Braham thanked me for fighting for Cragstead and against the Molten Alliance. 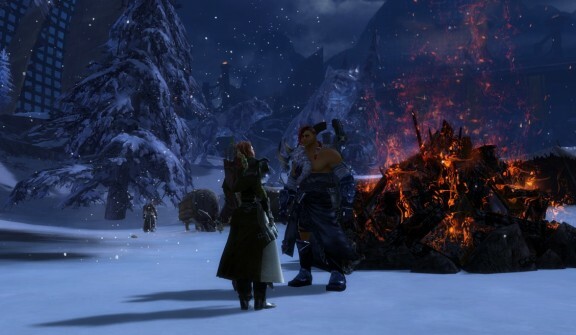 It’s clear that he is upset that a complete stranger and foreigner was willing to help, when the norn of Hoelbrak would not. Next, I set about delivering the final letters I retrieved from the corpses of captives from the Molten Facility. 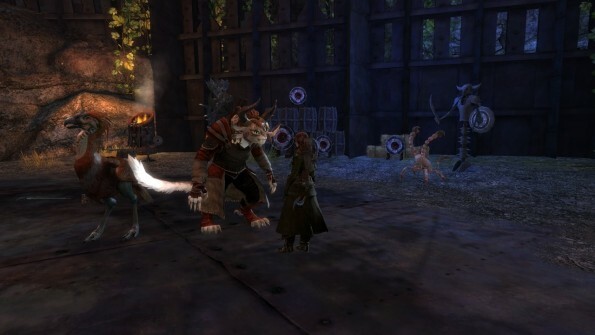 I traveled to the Ruins of Rin in Ascalon, the Wolf Lodge in Hoelbrak, and the Lion’s Shadow Inn of Lion’s Arch. Not to go into too much detail, but they were all saddened to hear the news. At the very least, it brought some closure to the disappearances of their loved ones. The following day, I visited the North Nolan Hatchery to see how their rebuilding efforts have progressed. 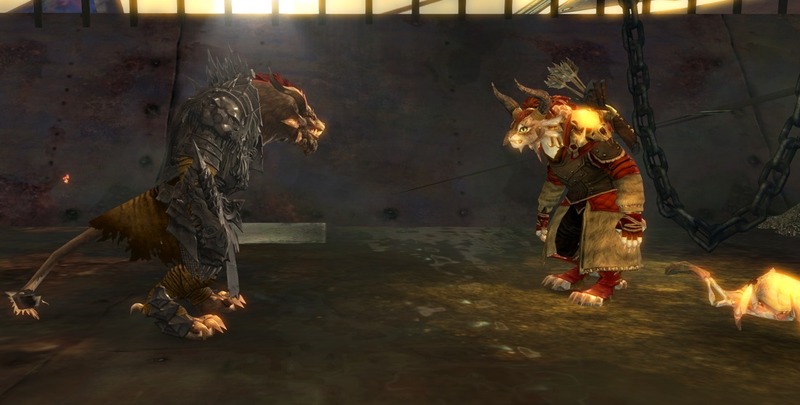 Plenty of guards were stationed (as expected), but several charr refugees have come to start a new life here. 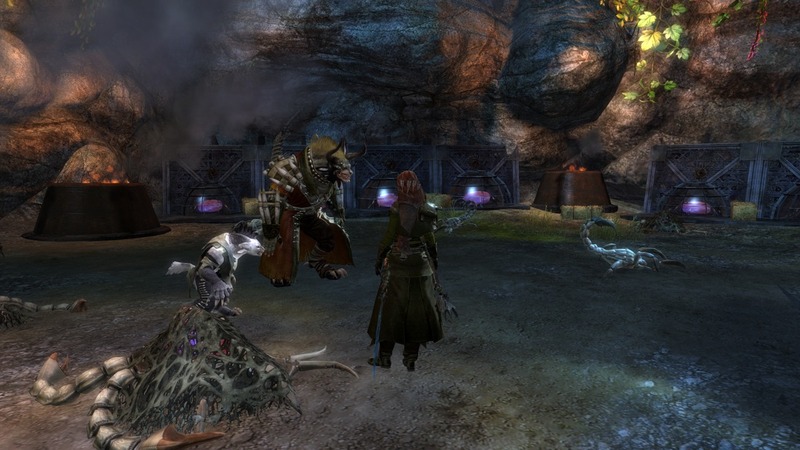 Even Rox was here, training her albino devourer “Frostbite”. Talking with her, it seems there are still a lot of hurdles to cross before she can join the Stone warband. At Cragstead, I finally got to meet Otilla. Braham was very concerned for her well being during the Molten Alliance attacks. But she appears to be in good health. 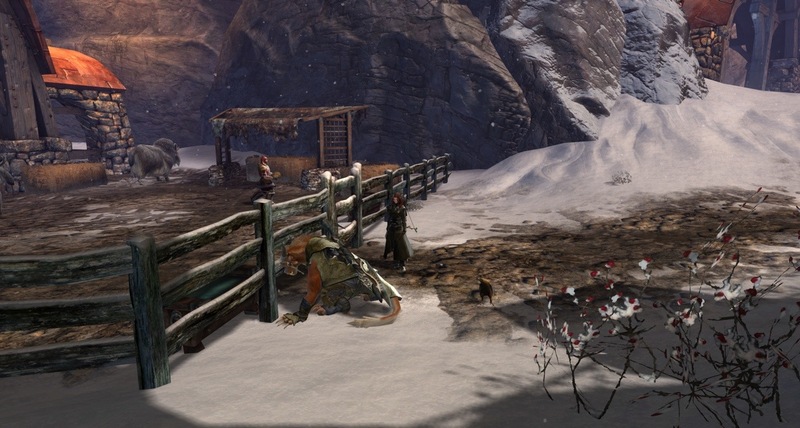 They bumped into each other at Hoelbrak, and traveled back to Cragstead together. Speaking with Otilla privately, she didn’t fully understand the need to stay in Cragstead. Hoelbrak is a much bigger, vibrant, and safer city. Everyone still appreciates what Braham has done for their home, so their rebuilding effort will continue. 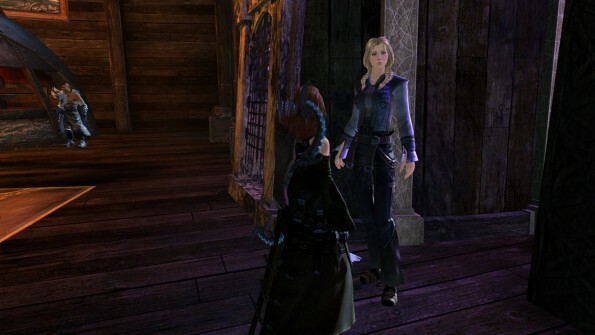 I tried chatting up Braham as well, but the conversation turned sour when Eir came up. She had sent him a letter, expressing that they should meet again someday. Not wanting to interfere or offer unwanted advice, I excused myself and resumed my tour of Cragstead. The homestead itself is slowly rebuilding with the aid of returning residents and refugees from the Molten Alliance assault. Nothing seemed out of the ordinary except the sight of a charr helping with farm work. 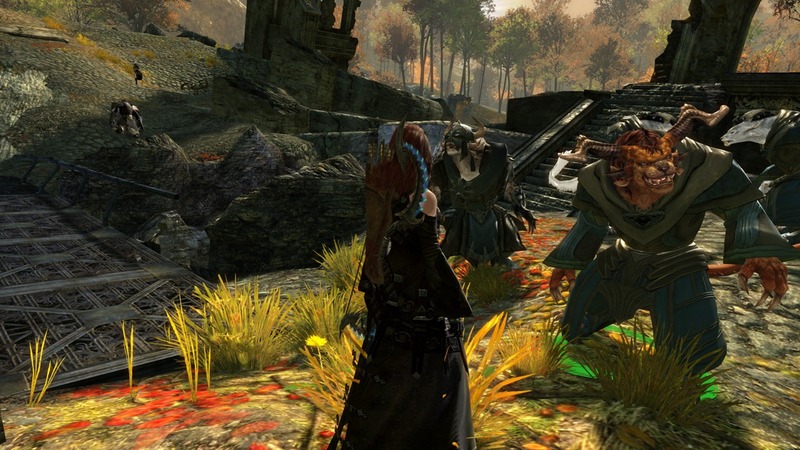 Her dilemma was to live as a gladium in Ascalon, or integrate with the norn in Cragstead. Considering how the norn treat each other based on an individual’s merits, you can’t blame her for this decision. With the last of the Molten Alliance testing facilities destroyed, huge bonfires were created to celebrate our victory. Placed in Lion’s Arch, the Black Citadel and Hoelbrak, all of the refugees and adventurers have come together for this special day. Everyone was in high spirits except Braham. He still hasn’t gotten over what happened to Cragstead, and the (apparent) lack of interest from his mother and leader Knut Whitebear. I gave him my best wishes and headed back to Divinity’s Reach for some well deserved rest and relaxation.